"Alright boys, let's get two!" Just when I was pretty much convinced that Facebook was nothing more than collection of pet pictures, baby photos and fabricated news, a guy that I barely knew posted a photo of my 1967 Little League team, Western Printing. I'm the little kid with the huge baseball glove in the bottom row, second from the left. This simple photo has caused me more introspection than I would have thought possible. Why do I have absolutely no recollection of this photo? 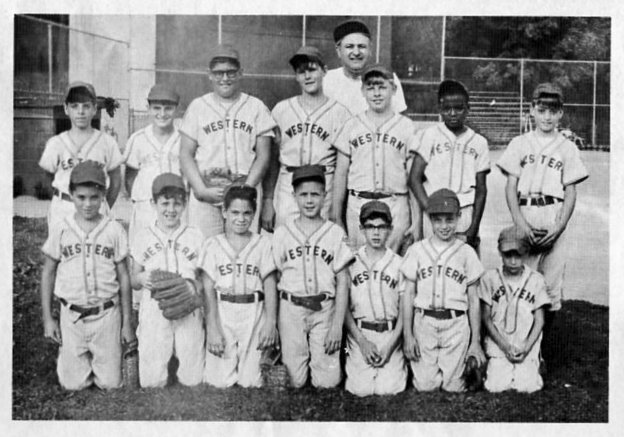 According to the guy who posted it on Facebook, it was taken after Western Printing had just won the 1967 Poughkeepsie Little League Championship! If so, this photo almost certainly would have found its way into the sports section of the Poughkeepsie Journal. My mother would have clipped it out and preserved it somewhere. As a 12-year old kid who loved watching the Yankees, this should have been a huge moment for me, but I have nothing but a blank slate. While many of the faces in the picture look vaguely familiar most of their names have been lost to the fog of time, with one notable exception. The big kid with glasses standing behind me was named Sam Forman. His father, also named Sam Forman, was our manager. He's the guy standing in the back. Sam Jr. was one of our pitchers (I think) and our first baseman. He wasn't much of an athlete at the time and slow as hell, but the ball would go a long way whenever he made contact. I wonder how he turned out? A 12-year old kid can change a lot. Sam Sr. was a nice, easy going man who was generous with his time. He was probably one of those guys who watched a lot of baseball but never really played it. During practice, his big thing was to hit grounders to us while saying, "Alright, boys, let's get two!". For anyone not familiar with that phrase, it means to scoop up the grounder and throw the ball to the guy covering second who would then relay it to first for an imaginary double play. It didn't matter that I was a right fielder, he always wanted me to "get two". Why do I have such a big smile on my face in that photo? I hated playing Little League. I was a tiny kid, probably about 4'8" and 75 pounds at the time. There are kids smaller than me in this photo but they were probably 9 or 10 years old. I was 12 years old, the oldest you could possibly be and still play Little League. I was a pretty fast runner but I couldn't hit worth a damn, probably because I was deathly afraid of the ball. Pitchers like Scotty Coleman and Skippy Allen could throw a baseball at least 80 mph. Scotty inspired much more fear than Skippy, though, because he had much less control of where his pitches were going (think Nuke LaLoosh in "Bull Durham"). Every time I stepped into the batter's box I had visions of getting hit in the head and ending up like poor Tony Conigliaro of the 1967 Boston Red Sox. 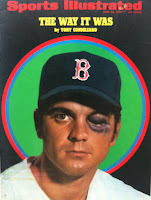 As I recall I got about 3 or 4 hits all season with about 30 strikeouts. So, based on all of this, why is it that I still have that old baseball glove? As an adult, I played in softball leagues every now and then, but I never used that glove. My kids played T-Ball and baseball, but they never used that glove. My grandkids will probably never use that glove. My daughter is a pack rat and I'm always trying to get her to throw stuff away, but as I sit here typing this blog I know that I'll never throw away that glove. Why am I so attached to it? Although I hated playing Little League, I loved going up the street to Putnam Park and shagging fly balls with my brother, Tom. It has to be one of my best childhood memories. One of us would stand in the batter's box, toss a ball in the air and hit it as far as he could. The other would play the outfield and try to catch the ball before it hit the ground. After 10-15 fly balls, we'd switch places and continue hitting fly balls until it was time to go home. I suppose I could say that I'm hanging onto the glove in memory of my brother, but that wouldn't be true. I had already been hanging onto it for over 25 years when Tom died in 1993, so I must be hanging onto it because of the memory of shagging those fly balls. 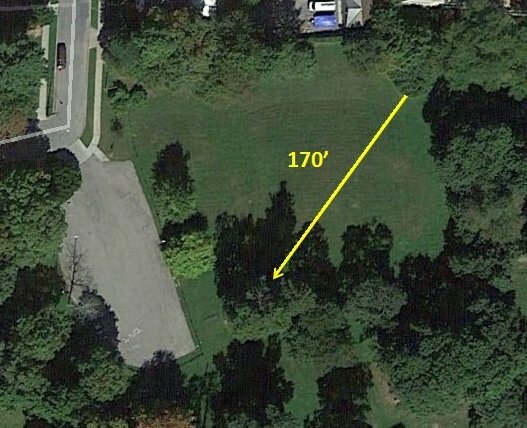 I've forgotten a lot of my childhood (and my adult life, for that matter) but the memory of tracking down a fly ball while running full speed up that hill in left-center field is still as clear as a bell. After almost 40 years of research I now have definitive proof that a Supreme Being exists, that it communicates with its creations in a purely random manner, and that it has an excellent sense of humor. All was revealed to me a few weeks ago when I finally began to convert my old home movies from VHS to digital. It's a project that has been gnawing at me ever since I retired in 2012. According to the experts, VHS tapes can degrade by as much as 20% within 10 years due to magnetic decay alone – and that's if they are stored properly. Improperly stored tapes can become brittle and totally unusable within 20 years. 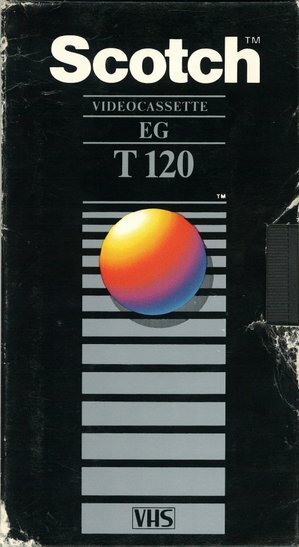 My VHS tapes were inexpensive Scotch T-120's, over 30 years old, and haphazardly stored in a dusty bookcase. Lord knew what condition they were in, and since He wasn't talking to me (yet), I decided to find out on my own. 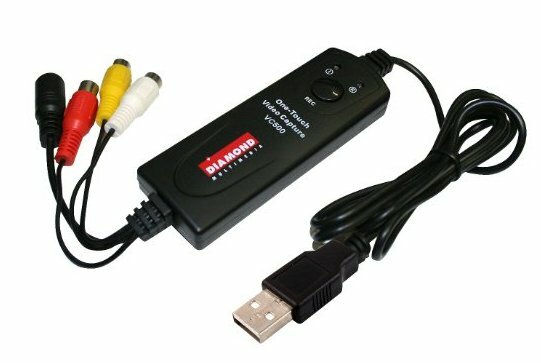 I began by purchasing a VHS capture and conversion product from Amazon called Diamond One-Touch. It promised "easy to use capture by the touch of one button" and Windows 10 support. Neither claim was true. Fortunately (or was it Divine Providence?) I still had an old Windows 7 computer that had been gathering dust for the last 10 months. I cleaned it off and powered it up, making damn sure to keep it off the Internet. After installing the conversion software and hooking up my 1990's-era Zenith VHS player to my computer (using the cable shown above) I managed to figure out how to capture a video despite the valiant effort of the instruction manual to prevent me. Certain religions would no doubt claim that getting this far was a full-fledged Miracle, but much more definitive proof of the Divine Hand was awaiting. 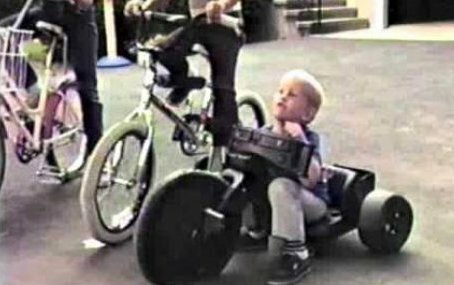 After testing everything out with a videocassette containing nothing of significance, I bit the bullet and tested the conversion process on one of my precious home movies. Before beginning, though, I fast-forwarded the tape for a few minutes to make sure that there were no mechanical problems and that the tape moved freely within the VCR. I then stopped the tape and captured this video. I'll give you a few minutes to look at it. From a production standpoint, it's a pretty horrible video. It's grainy and shaky and there are instances where the audio is almost unintelligible. But, by sheer luck, it captured an iconic phrase that is a Mullen Family touchstone, the origin of which I had completely forgotten. While I knew that Dave (while under a bit of stress) had randomly called something "tree falling", I had no idea that it was his bike and that we had the event on film. While this incredibly chance discovery caused chills to run down my back, it still didn't smack of Divine Intervention. What happened next, though, rolled the stone away from the tomb. There is only one reasonable explanation. The Supreme Being saw this video, rolled on the clouds laughing (ROCL), and felt compelled to give it a stamp of celestial approval. 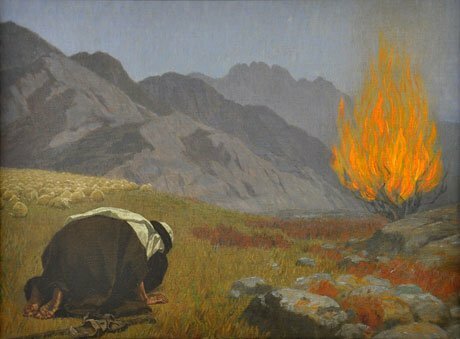 The seemingly "random" thumbnail photo that He assigned to this video is as clear to me as that burning bush was to Moses. * Well, maybe not astronomical; more like one chance out of five thousand.